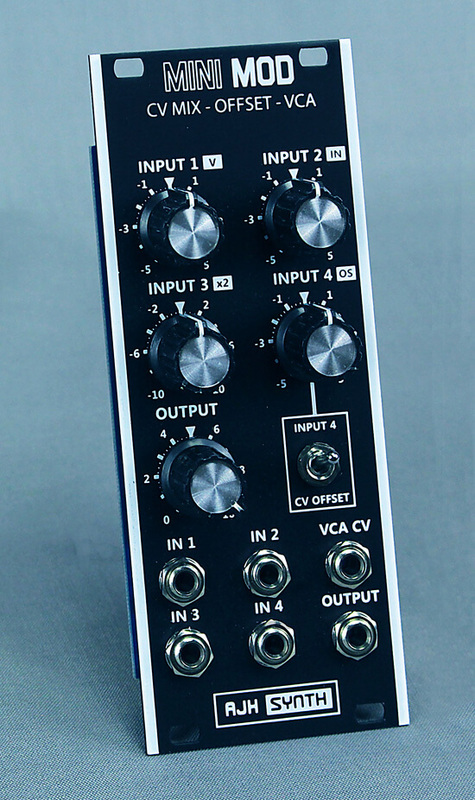 The MiniMod CVMix-Offset-VCA is a compact 10hp wide Eurorack format module. It has been developed to offer a range of useful utilities for the MiniMod system and of course other Eurorack synthesisers.. It comprises a four channel polarising mixer, amplifier, inverter, a voltage source and a DC coupled VCA with switchable CV offset. This useful module is a Bipolar Mixer, DC voltage source and Linear DC coupled VCA - With no input to channel 1 the Input 1 pot becomes a voltage source with a range of +/- 6V. The control pot and input for channel 4 can be switched to become an offset control and/or a second CV input for the VCA. Input 3 has 2x gain, so it can amplify lower level CV’s too. All of the inputs are bipolar, which means that either non-inverted or inverted version of the input signal can be added to the mix depending upon the Input control being turned clockwise (non-inverting) or anti-clockwise (inverted). The 12’o’clock position is zero. 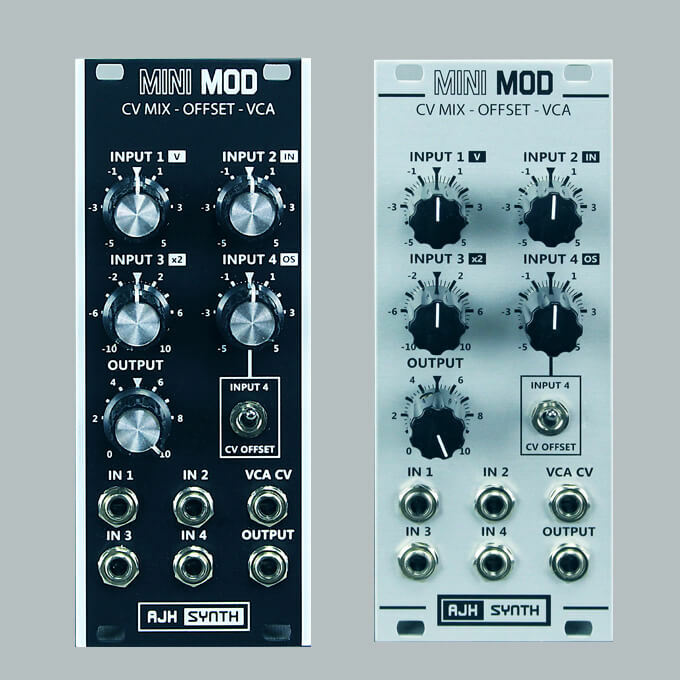 CV Mix-Offset-VCA Module is available with either Black (Dark Edition) or Silver fascia panels.